ADT Control is the new interactive services app from ADT. ADT Control works with the new ADT Command Panels. The new website control.adt.com and the app called ADT Control. 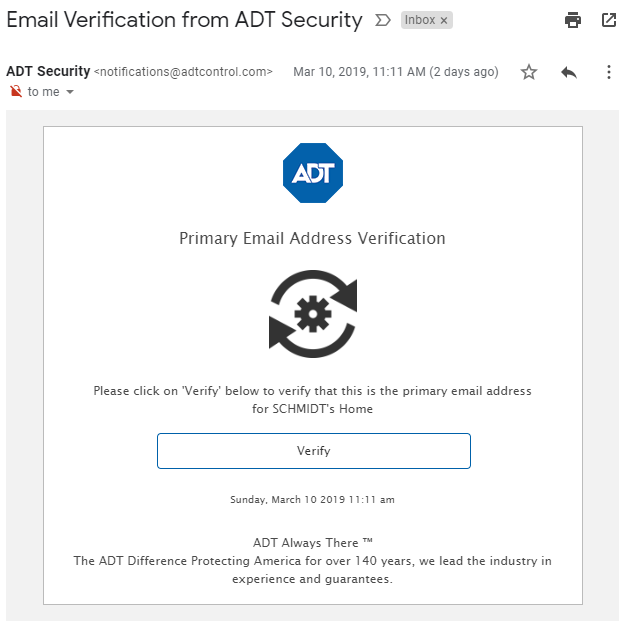 The ADT Control platform is replacing ADT Pulse Platform that has been used for the last 6 years to provide interactive services for millions of ADT Customers. The new ADT Control platform will have nearly all the features that ADT Pulse has had with addition of some new exciting ones. It will continue to help residential and small business customers to control their alarm system, locks, lights, garage doors, thermostats and watch video. The only feature that might be lost is the ability to have home view where you can put your devices on a floor plan display. These are some of the new and exciting features of the ADT Control platform. Geofencing services to get reminders to arm the system, change temperature, or pause recording on cameras while customers are home. Dawn and Dusk Features – so you can set your lights to turn on and off with the sunrise and not have to change the times several times a day on your schedules. Access from TV with Amazon FireTV, Amazon FireTV Stick, or 4th gen Apple TV with the downloaded app to view cameras. How can I get the ADT Control App? 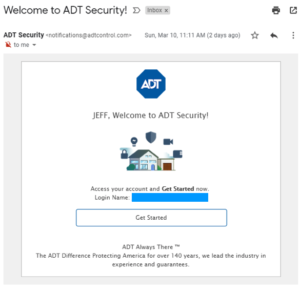 If you have recently had the new ADT Command system installed in your home and you are wondering how to get the app on your smart phone here are a few easy steps to guide you. Security!”. (See pics) They might get sent to your Spam folder so if you do not see them take a look there and make sure you mark them not as spam so future notifications from your new ADT Command system are not sent there. Click on “Verify” and “Get Started” in each of those emails and set up your password and notification settings. Once you have done those initial steps download the app from the itunes or the google play store. You should not be able to log in using your username and password. Does this only work with new panels? I tried logging in to the app and it doesn’t accept my credentials. But I can still get into the old app and site. Yes this new app and web portal called ADT Control is only for people that have the new ADT Command Panel (and in some cases 2gig or qolsys panels). If you have ADT Pulse currently you will not be able to use the new app unless you replaced your system.